This resort's huge indoor waterpark offers an affordable family weekend getaway for all ages — all year round — plus coaster rides at the Six Flags nearby. If you’re searching for fun in the sun and your budget is tight, you don’t have to travel all the way to Florida to have an adventure-filled, tropical, family beach vacation. 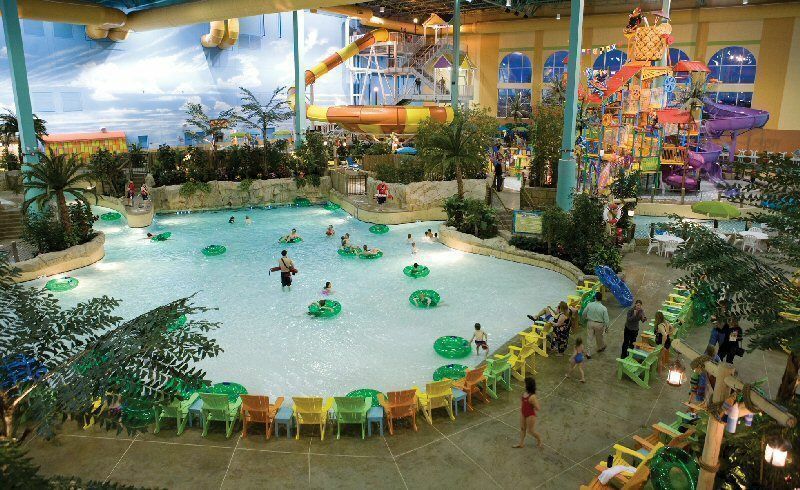 An affordable family weekend getaway, or short break holiday at any time of year, can be found at the KeyLime Cove Indoor Waterpark located in Gurnee, Illinois. 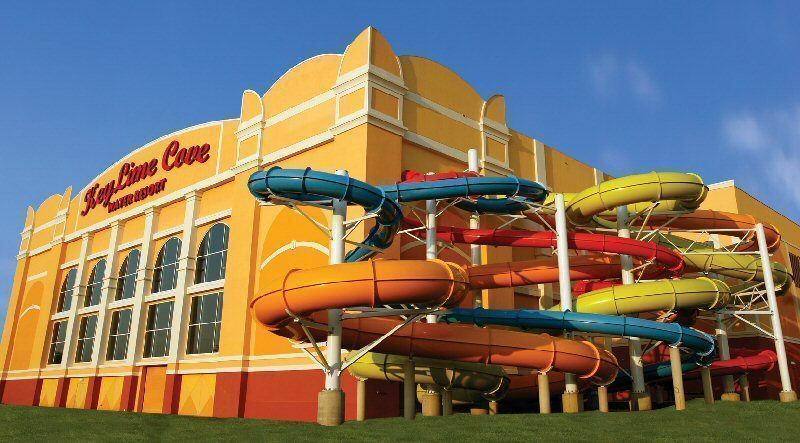 KeyLime Cove is just an hour from both Chicago and Milwaukee, but even more convenient is the fact that KeyLime is just three blocks away from Six Flags: Great America theme park, so you can combine water fun with roller coaster thrills. Though there is a multitude of attractions and entertainment at KeyLime Cove, the real centerpiece of the resort is the Lost Paradise Waterpark. Rather than worrying about rain or chilly temperatures, you can relax in the indoor waterpark, which is heated to a consistent 82°F year round. With 65,000 square-feet of water adventures and a dÃ©cor inspired by the Florida Keys, you’re likely to forget you’re inside at all. Lost Paradise has a wide variety of water fun, ranging from wild rides to lazy rivers. The Hurricane Vortex offers brave riders the chance to spiral into a vortex of water, and other big water slides like the Screamin’ Banshee are sure to delight older kids. For those who want to take it a little easier, the waterpark offers a wave pool, a lazy river, and a huge interactive water playground. For adults, the no-kids-allowed whirlpool spa area allows for some relaxation time. For toddlers, the Play Pond has low-key mini-waterslides and fountains. Once you check in, your family can take their time enjoying it. The waterpark complex opens at 10am Monday through Friday and at 9am on the weekends; closing at 10pm. 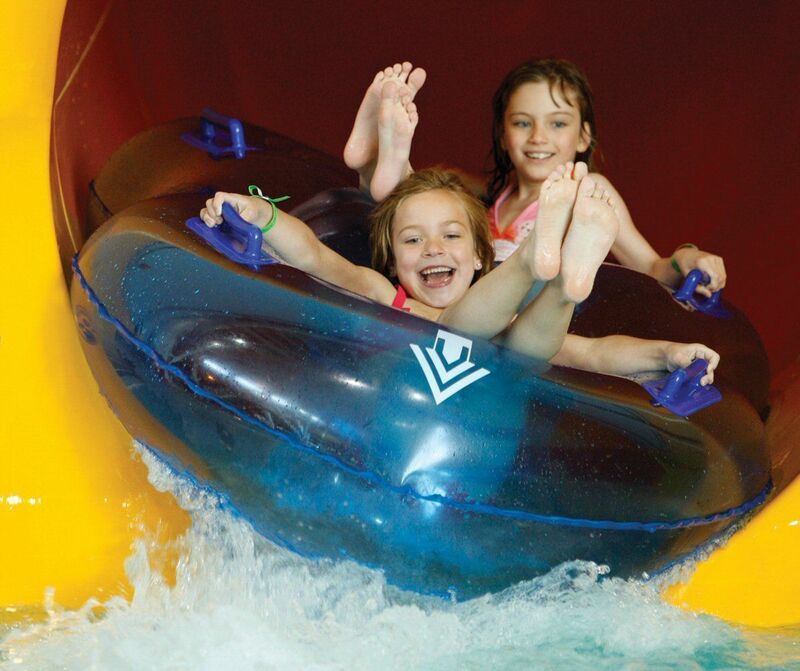 The water will wear you out eventually, and there are lots of other activities for kids at KeyLime Cove. The 8,000-square-foot Riptide Reef Arcade offers different zones of activities according to age. 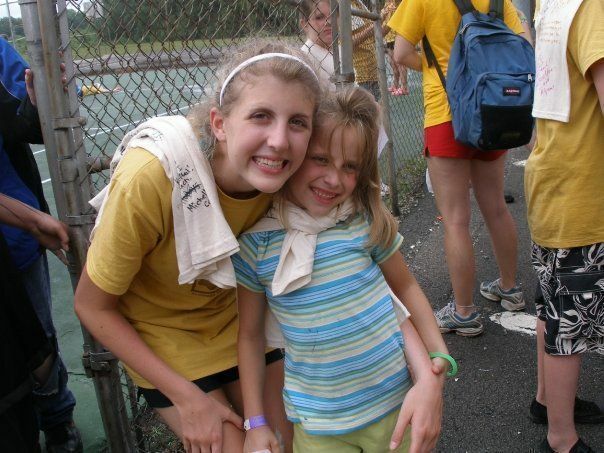 There are basketball and dance challenges, races, and lots of arcade games. Kids can earn Toucan Tickets from the games and redeem them for prizes they’ll enjoy, such as stuffed animals. KeyLime Cove also boasts their family fun center, Leapin’ Lizards. Stocked with art supplies, at this center kids can create their own sand art, decorate t-shirts, and even paint on the walls. Lots of other crafts and games are available for all ages. Board game and GuitarHero tournaments occur at night. At Pinki’s Pet Palace, kids who’ve always wanted a pet can finally get one without having to clean up after it. Eager pet-owners begin by choosing what kind of stuffed animal they want, and then dress up their new flamingo, bear, or other critter in a variety of different outfits and accessories (an idea similar to the Build-a-Bear workshops). KeyLime Cove also offers daily “fun-tivities” like face-painting or cookie-decorating, which you can check out with the daily Fun-Tivities Guide. So you don’t have to leave the tropical paradise at the end of the day, KeyLime Cove boasts 414 resort-style guest rooms and suites, which can sleep anywhere from 2 to 8 guests, and up to 12 with a connecting room—making it a perfect destination for the whole family, even multiple generations! All guest rooms and suites include waterpark admission, and you can add extras such as breakfast, early or late checkout, fresh cookies and milk, and more. All of the rooms and suites have televisions, refrigerators, high-speed internet, and are decorated with a bright tropical dÃ©cor. 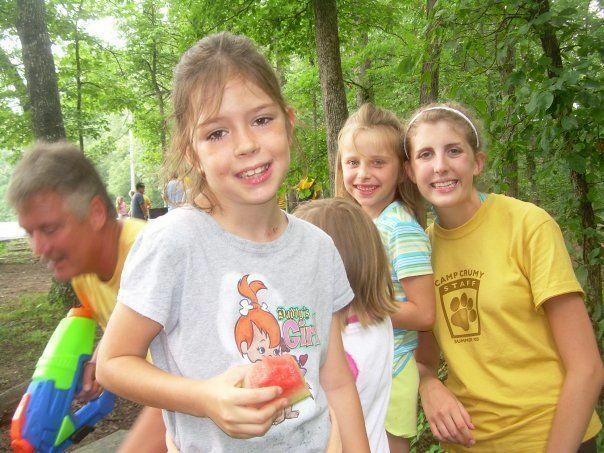 Rates for the summer high season begin at under $$ per night for a family of four. If all the splashing makes kids hungry, within KeyLime Cove there are six restaurants and all are child-friendly. From island fare at the Crazy Toucan to pizza at Anna Chovy’s, everyone will be sure to find something they like, and since the restaurants are all within the resort, you won’t have to stress about finding somewhere to eat. For adults, the Crazy Toucan has live music and tropical cocktails on weekend nights. Just down the street from KeyLime Cove is another huge family attraction, Six Flags Great America. KeyLime Cove offers one and two-night Ride N’ Slide Packages, which include single-day admissions in summer to both parks, free shuttles to and from Six Flags, and overnight accommodations at KeyLime. Six Flags Great America has a diverse array of attractions, ranging from giant steel coasters to kiddie rides. Popular thrills include the Raging Bull coaster; the tallest and fastest coaster at the park, and Superman: Ultimate Flight; a coaster that enables you to soar through the air on your stomach. Overall, Six Flags Great America has nearly seven miles of coasters. For kids, there is an entire section of child-friendly and family rides such as the log flume and scenic railway rides and, of course, a classic carousel. Also at the Six Flags resort in Gurnee is Hurricane Harbor, though you may have had your fill of water parks at KeyLime. Admission to Hurricane Harbor is included with tickets to Great America, and the outdoor waterpark includes a giant wave pool and multi-passenger raft rides. Thought KeyLime Cove ie open year-round, Six Flags Great America and Hurricane Harbor operate only from late May to early September. So if you’re looking for a fun family weekend getaway, rather than travel all the way to the tropics, stop by. KeyLime Cove offers an affordable and fun way to book a splash-filled vacation any time of the year. With so much to do indoors at KeyLime, you’ll forget you’re in Gurnee, Illinois — unless you venture outside for some more thrills at Six Flags. With fun for all ages and many varieties of accommodations, this trip will have something to please everyone in your family. For more information or to make reservations, call KeyLime Cove (877/360-0403) located at 1700 Nations Drive, Gurnee, Illinois 60031 or visit KeyLime Cove.